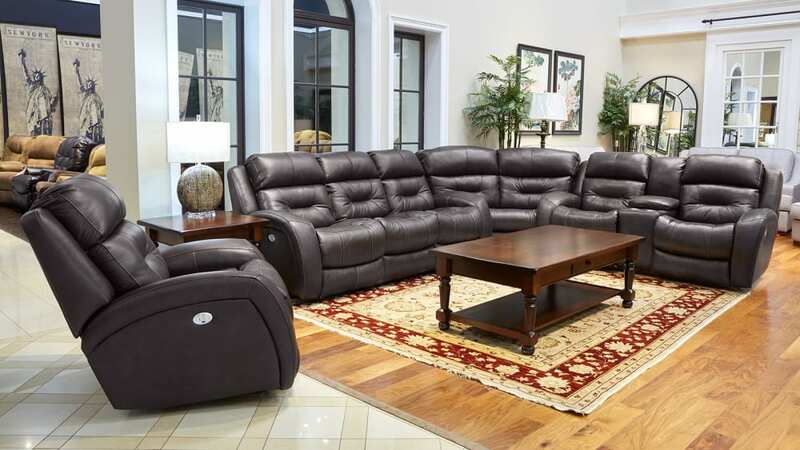 Rich leather everywhere you touch-vinyl match on the back and sides of this streamline sofa . Experience maximum relaxation at the touch of a button. Recline, tilt your head, support you back and even charge your phone with ease.